Polish games firm CD Projekt has revealed that it has signed a long-term partnership with Canadian company Digital Scapes. The latter was founded by vets from BioWare, Radical Entertainment and Relic, and to date has has worked on the likes of Company of Heroes, Dying Light and Prototype. The firm is going to be "creating and optimising technological solutions" for the upcoming and eagerly-anticipated Cyberpunk 2077. “Cyberpunk 2077 is our most ambitious project to date and we work hard every day to make it a creative and technological achievement," CD Projekt RED SVP of business developement Michał Nowakowski said. "The Digital Scapes team brings aboard a lot of talent, experience and technical knowledge, and I’m very confident our long-term cooperation will add plenty to the game." Digital Scapes studio head Marcin Chady added: “We are both excited and honoured to work with CD PROJEKT RED. Their incredibly creative and accomplished team of developers have been pushing narrative-driven, role-playing games to unprecedented levels. We look forward to helping them create the very best video games on the planet." 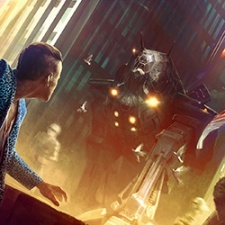 CD Projekt RED's Patrick Mills: “Cyberpunk is an inherently political genre."